After months of heated debate, 65% of Colorado voters have voted in favor of Proposition AA, a measure to add a 25% excise tax to recreational cannabis sales, which are expected to begin as soon as January. Advocates – including many within the cannabis reform community – praised the passage of Proposition AA; “The passage of Proposition AA today completes the historic process of regulating and taxing marijuana in Colorado”, stated Brian Vincente, who worked closely on the campaign which legalized cannabis in Colorado. Opponents of the proposal – including NORML – argued that the tax rate is too high, and would push people to the black-market. 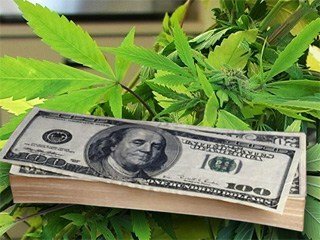 Although it’s yet to been seen whether or not this will be true, Colorado’s tax rate, even with the passage of this proposition, is still considerably lower than that of Washington State; the tax system their for recreational cannabis is 25% at three different levels, plus an additional sales tax. Cities across Colorado also approved additional city excise taxes. Results for these can be found by clicking here.